This 100% Electric scooter is the slick Tesla of scooters! It uses the latest technology to bring you top performance and reliable long range driving. With a 48 volt rechargeable lithium battery, you can zip around town or campus up to 35 mph! The E500 is whisper quiet and has all the normal functionality of gas scooters such as: horn, headlights, turn signals and side mirrors. The beauty of the world of scooters is that they can be legally driven on GA roads with no license tag required! With a 50 mile range, you can run all your errands and more before ever re-charging! The E-500 is nimble, very light and extremely easy to maneuver. No waiting for the engine to warm up, just jump on, turn the switch – twist the throttle, and you have blast off! It is the ideal electric scooter to take with you when going to college, camping, boating, around town or to work. 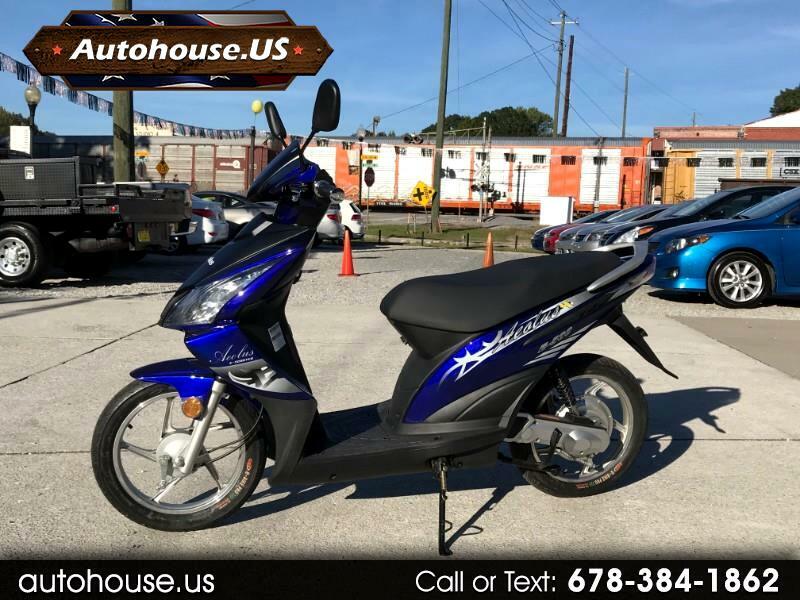 Features include: a powerful 500 watt hub motor, comfortable oversized seat, 50-55 miles on a single charge, rapid 5-7 hour charging time, capable of climbing 20% grades, no cvt or belts required, key ignition and speedometer in both mph and kph. This E-500 is sale priced at $995 ! Message: Thought you might be interested in this 2011 Aeolus E500.